80 values as a foundation for a constructive change. 200 pages. This book of values serves as a useful impulse to support constructive action in economics, education and society - free from religious and political agendas. Values are a decisive factor in that they guide our actions as well as the extent of our ability to act in business, at work and in our personal lives. 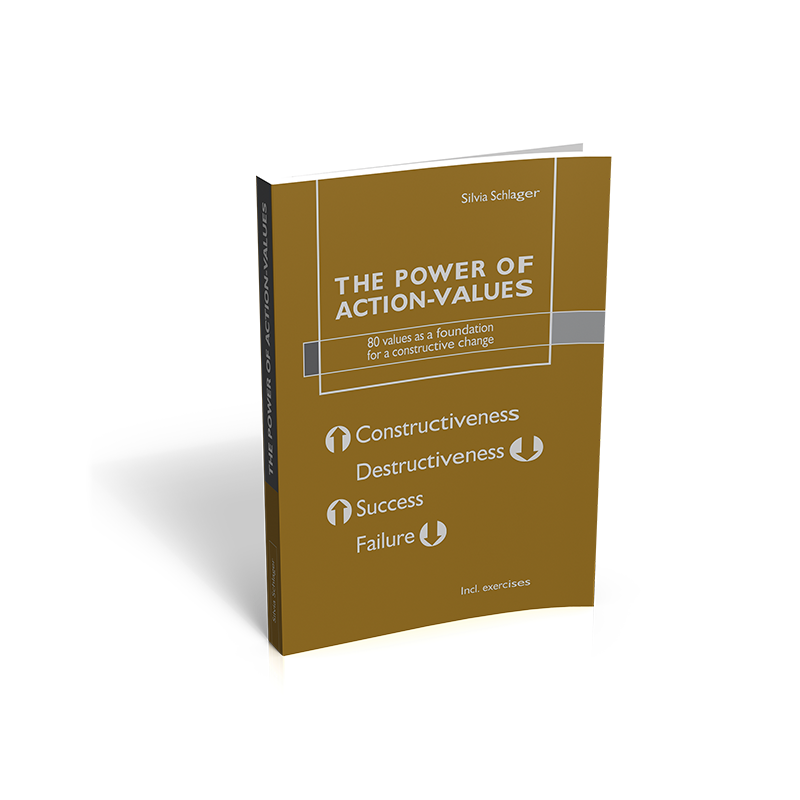 By increasing awareness of the multitude of action values and illustrating practical applications, constructive action can be practiced to a greater degree. The general goal is to encourage taking actions that are supportive instead of inhibitive, respectful instead of humiliating, motivating instead of frustrating and problem-solving instead of blame-assigning. "This book follows the tradition of Aristotle and sensitizes readers to the multitude of possible values that people can materialize in their actions in order to lead a business to success responsibly and sustainably..."
"This book is an effective tool for decision-makers and provides an innovative impulse towards responsibility." "This book is fantastic thanks to its simplicity and a great contribution to society due to its usefulness." Silvia Schlager has developed her own methods to promote constructive action and in 2001 founded the company EUTONIA - Value Management & Vitality Management. She started the Live Your Best: Action Initiative, has been invited as a guest lecturer at the Zurich University of Applied Sciences and the Pedagogical University of Lower Austria and also hosts seminars in renowned companies. Her articles have been published in economic media.